How to sell a car in Zealand? How to Sell a Car in New Zealand? is a question most car owners (who don’t have a close family member to give a tax-free transfer) will have to face at some point or another. Whether in near new condition or ready for the junkyard, motivated sellers can almost always find someone who will will offer to pay for their car. Selling a car, however, is not as simple as shaking hands and tossing over a set of keys. You need to find the right place to advertise, the right medium from which to sell, and follow the proper procedures for making the exchange happen. Read Used Vehicle Information online. It costs about $10 and is your way of verifying that the car is indeed yours, and it also contains forms detailing the car’s condition and description, includes lien information, registration history, forms for bills of sale, and other necessary documents. Find a buyer. Easier said than done, right? You’ll need to come up with a fair price for your car by looking at ads for similar vehicles online or by using a car value online. Fill out the “sold my vehicle” form that comes in the Used Vehicle Information. This basically just entails writing down your name, the buyer’s name, the sale price, date, and signature. The registration permit has an “Application for Transfer” at the back of the vehicle portion of the permit. The page must be completed and signed before given to the buyer. Hand the Used Vehicle Information to the buyer, as well as the vehicle portion of the registration permit as mentioned above. Keep your plates (can be used for your next car) and the plate portion of the registration permit. The plates are still yours, and stick with you. You can sell your car without taking it for a safety inspection or WOF test, but the buyer can’t drive it until he/she gets the pass and certification. A better option is to take your car for the tests prior to sale and simply tack on the extra cost of the inspections to your listing price. Most car buyers — smart ones, anyway — won’t want to buy a car without the assurance that it won’t need expensive repairs. WHERE TO SELL YOUR CAR? These are the obvious options like as trademe and facebook marketplace groups. Basically, it’s up to you to create a description of your vehicle with whatever details you deem necessary. There are some online tools, such as car collection, that can help you figure out how much your used car is worth, guiding you to an appropriate listing price. 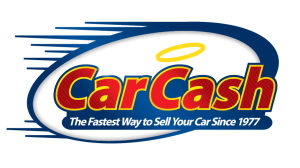 usedcarguys.co.nz is probably one of the best-known site for selling a car online in the New Zealand, followed by others such as tahaauto.co.nz. These pages generally require you to fill in standard information on the car’s specs and details, and usually offer their own car value calculator. If you don’t want to deal with potential time wasters or difficult buyers, go can always go the route of places such as car buyers Auckland and car buyers Christchurch. Never mind the alphanumeric integration, these companies simply require you to fill out an online form with information on your car, and they’ll come back with an offer. If you choose to accept, they will generally offer you cash or cheque, and some will even pick up the vehicle. For those vehicles damaged beyond repair or simply past their prime. There are plenty of options in New Zealand — businesses such as Car Removal, Junk Car Disposal, and Scrap Cars for Cash — that will pick up your car and tow it away, leaving you with cash. Albeit, not a lot. The real benefit to selling this way is convenience, not money. Perfect for those with limited time, energy, or experience to spend on selling a car themselves. (Shrinking violets, I’m looking at you). Some dealerships will take your car and sell it on your behalf (for a cut, of course) eliminating some of the hassle. There are typically more options for those looking to sell exotic or luxury cars on consignment, though there are dealerships that will take on more. auto southwreckers is just one example in south island. You can sell your old car to a registered dealership in exchange for some cash off your new car, or else give it up to one of the privately owned used dealerships anyway New Zealand (North Shore, Hamilton, Dunedin, Wellington). Used car guys has a pretty comprehensive list of the businesses around the New Zealand. While the hassle may be less than with a one-on-one private sale, the dealer will generally offer you no more than the auction price of the vehicle. To maximize money in your pocket, you’ll probably want to go with a classified ad and wait for the buyers to come to you.